Another most excellent post, Elizabeth. I appreciate how you weave the narratives and history together – you bring the past to life. Lovely post! Reading Chekhov is always such a joy – he can convey so much in so few pages. It’s always good when we can take lemons and make lemonade. Isn’t there a saying that an unhappy childhood is a writer’s goldmine? And, of course, writing about it works like therapy. 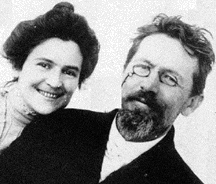 Interestingly Chekhov always stayed close to his family, supporting them financially. Unlike Turgenev, who always tried to stay as far away as possible from his mother. Great blog post Elizabeth! Love Chekhov! I was lucky enough to see “The Seagull” on Broadway a few years ago. 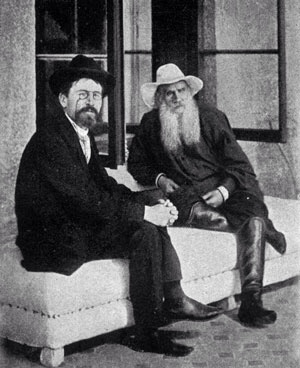 Stanislavsky and Chekhov were a powerful combination. I have always admired the advice of “Chekhov’s Gun”, which is usually applied to Ibsen’s” Hedda Gabler”, wherein, if you display a gun in Act I it must go off by Act III. I was also lucky enough to see this on Broadway as well. Great post! I really like Chekhov’s plays and went to a study day on them recently (total nerd 😉 ) where someone mentioned how brilliant his short stories are. You’ve reminded me to get my hands on them – I’m off to order now! As always, admired this post greatly. You note, accurately, that Chekov “never made a choice between literature and medicine.” I read that he charged patients on a sliding scale, depending on what they could afford to pay, and that he often treated patients for free. “His characters are real, not purely good or evil.” So true. What could we not learn from this when it comes to judging other people? Chekov’s «Остров Сахалин» (The Island of Sakhalin) is a great nonfiction work and piece of journalism. It sometimes reads like a dry report, but its harrowing details are compelling on many levels. “Anton Chekhov’s Life and Thought: Selected Letters and Commentary” (1973) — translated by Michael Henry Heim; edited and annotated by Simon Karlinsky — is a wonderful edition of the letters. The commentary is outstanding. It gives a whole new picture of Chekov. I loved the portrait that you have used, and the photos. There are a few wonderful photos of Chekov young. 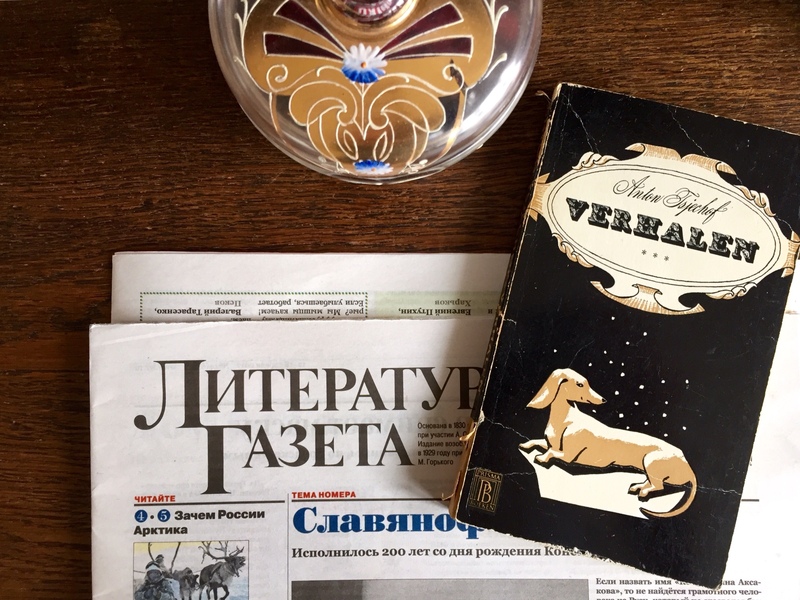 One in particular I remember is in the book (now hard to find) “Chekov and the Lady with the Dog” by Virginia Llewellyn Smith. It shows him as an adolescent, looking cherubic. The Russian film Дама с собачкой (The Lady with the Dog; 1960) is outstanding. Thank you. The stories may not seem that special at first sight, but that is because we are now used to reading writers like Hemingway. Thank you so much for sharing your thoughts, Roger. It is, of course, always nice to hear praise. As you know, I enjoy writing about Russian literature and it’s great if others enjoy reading about Russian literature, like you. What I learned from Chekhov is keeping it short. Nonetheless his Sakhalin period is very interesting and I shall probably write a separate blog post about that at some point. Thanks, Elisabeth. Can’t wait for your “Sakhalin” post, should it materialize. 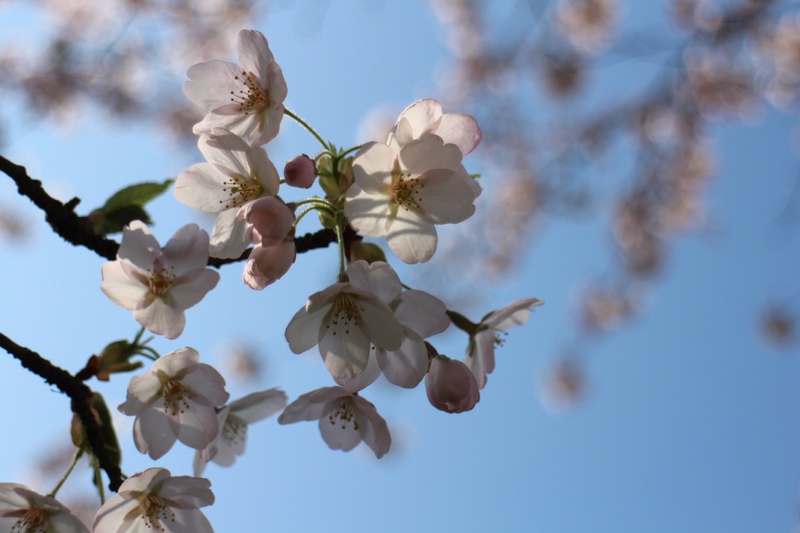 Love how you incorporated your cherry blossoms shot into your review of Chekhov’s work! Ah yes, you got it 😉 Thank you! Thank you for your reaction, Marje. Yes, his advice is priceless. And I love reading his stories, they’re so perfect. You know, he looks a bit like Robert Downey Jr. If there’s ever a movie, he should play him. Yes, you’re right! He’d be perfect for the part. 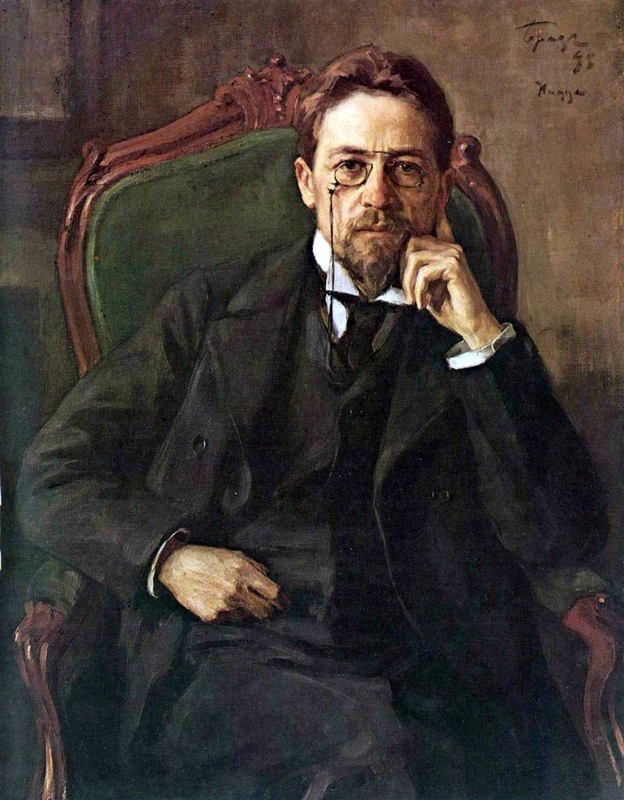 Chekhov was my introduction to Russian literature. His short novels are so beautiful; I especially love the imagery in The Steppe. I used to read these novels every summer! Very interesting post. I love Russian Lit and Chekhov. He was such a huge influence on certain writers as you say, one I have recently read a lot of is Raymond Carver. He was much influenced by Chekhov and even wrote a story imagining his death. Carver, like Chekhov conveys so much emotion with the simplest language. I have read Crime and Punishment in Dutch, it’s great, another of those influential novels. My favourite it Tolstoy. Chekhov is great and I also read he was influenced by Nietzsche. If you haven’t already check out Madness and the Mad in Russian Culture. It’s a collection of essays. Thank you, Ashleigh, for the suggestion. It sounds like a fun read! Those phrases are a real testimony of Chekhov’s wonderful sense of humour and his accurate view of life. Thanks for making me laugh! Thank you for this article and for the link. I love short stories and Chekhov is one of the best indeed. Thank you for stopping by! Yes, Chekhov is in a league of his own.